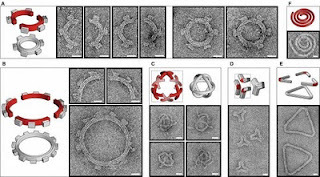 Nanoscale Engineering is Flying Ahead. Scientists have made batteries and supercapacitors with little more than ordinary office paper and some carbon and silver nanomaterials. The research, published online December 7 in Proceedings of the National Academy of Sciences, brings scientists closer to lightweight printable batteries that may one day be molded into computers, cell phones or solar panels. Stronger than steel, as light as air and more flexible than rubber: a truly 21st century muscle. NanoTech, Institute at the University of Texas at Dallas, has made a nano material that could make artificial limbs, smart skins, shape-changing structures, ultra-strong robots and eventually highly-efficient solar cells. 'It can generate about 30 times the force per unit area of natural muscle,' they say. Carbon nanotubes have fascinated material scientists since the early 1990s, when researchers started to explore the ultra-light, ultra-strong cylindrical molecules. Carbon nanotubes are already used in bicycle components, and in prototypes of airplanes, bulletproof clothing, transistors, and ropes that might someday be used to tether a space elevator (On a historical note, carbon nanotube-infused steel was used to made Damascus blades, renowned as history’s sharpest swords, though the technique has been lost). The latest muscle is made from bundles of vertically aligned nanotubes that respond directly to electricity. Lengthwise, the muscle can expand and contract with tremendous speed; from side-to-side, it’s super-stiff. Its possibilities may only be limited by the imaginations of engineers. This apparently unprecedented degree of anisotropy — direction-dependent physical properties — is akin to having diamond-like behavior in one direction, and rubber-like behavior in the others. 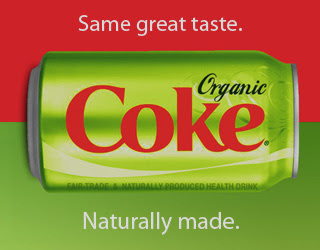 I can't yet buy Organic Coca Cola in Brighton (UK). It's been put the the States and China for over 2 years. Shame, cos it's not a bad thirst quencher. In 1982 the Coca Cola Company addressed the negative aspect of its drink with the introduction of a sugar-free version of the Ice-cold sunshine. Diet Coke was the first new coke brand since 1886 and signified a revolution for the brand. Numerous coke by-products followed in the slipstream: Cherry Coke, Caffeine-Free Coke, Classic Coke, Vanilla Coke, Coca-Cola Orange, Coke Zero, Coke Black Cherry Vanilla and many more. The latest addition to Coca Cola product range could mean a new revolution in fast-food: Diet Coke Plus not only reduces calories or ads a flavor,it actually improves your health. 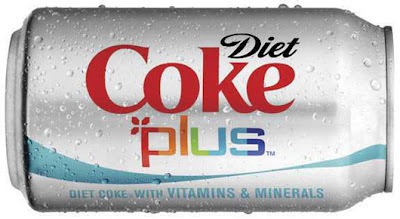 Diet Coke Plus is fortified with vitamins and minerals. One can already provides 25% of the daily value for niacin and vitamins B6 and B12, and 15% for zinc and magnesium, so if you drink four cans a day, you've got your it all covered; Diet Coke Plus: better than the real thing!